When it comes to types of ads, 57% of readers selected humor and social good as two top themes. Millennial-focused publisher Bustle conducted some research to help brands understand those consumers a bit more. The survey polled 1,000 women in the Bustle Hive–a community of over 5,000 Bustle, Romper and Elite Daily readers between the ages of 18 and 34 who live in the United States. Bustle adapted its own version of the Proust Questionnaire–a personality questionnaire made popular by French writer Marcel Proust–to learn more about what they value, what brands they like and how they interact with brands. According to the findings, 81 percent of readers say social media is the most effective way to reach them. 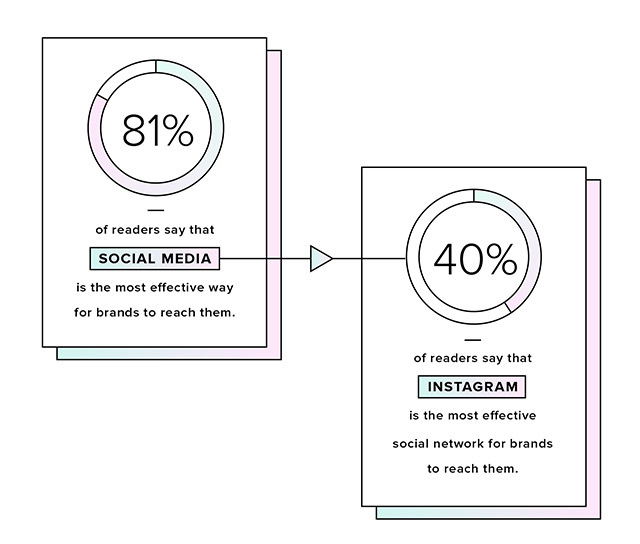 Of those women, 40 percent of Bustle readers feel Instagram is the best and most effective social media outlet to connect. Additionally, 36 percent find brands through websites they trust, closely followed by 35 percent of women, who find brands in online articles and through email. When it comes to types of advertising, 57 percent of readers selected humor and social good as two top themes in brand marketing. Thirty-six percent selected cause-related spots, followed by motivational spots (33 percent) and real-life scenarios (30 percent). 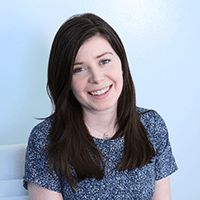 Bustle also found some interesting insights around millennial behavior that the team wasn’t expecting. “The whole thing about Bustle is the authenticity and the realness to what we do. We want to make sure that we have the best data possible about our own readers. 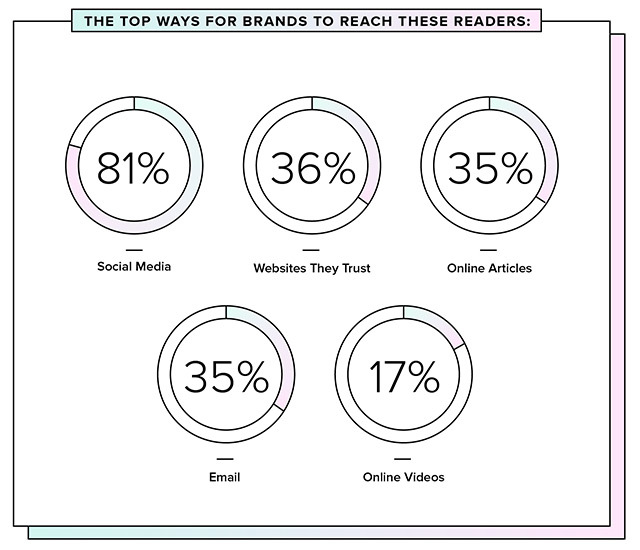 We need to know what the readers who are consuming our content think,” Jessica Tarlov, senior director, research and consumer insights at Bustle, said. Bustle also hoped that it could take the data to its advertising and marketing partners to help them better understand how to effectively advertise on the Bustle platform. “We expected to hear the things that reputation-wise, [people say] about millennials all the time. Like the idea that we are all trophy heads, slackers, it’s the ‘me generation’ and that we are financial failures. Our data totally turned that narrative on its head,” Tarlov said. 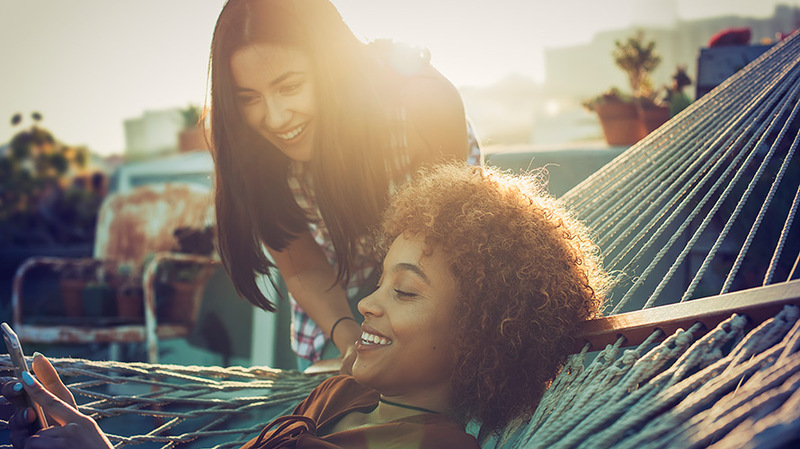 While there’s a myth that millennials are living in their parents’ basements (and that they are super lazy), Bustle found that 94 percent of its readers say financial security is very important to them. It’s also been said, according to Bustle, that millennials are selfish. Bustle disproved that as well (at least among its millennial women readers), with 48 percent saying they volunteer and nearly 63 percent saying they plan to volunteer more in the future. It’s also been shown time and again that millennials are loyal to brands that care about more than just making a profit. Bustle’s survey further demonstrated that millennial women feel the same way. 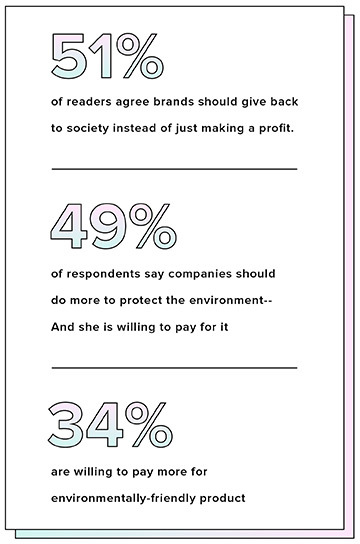 Fifty-one percent feel brands should give back to society and 34 percent said they would be willing to spend more money on products that are environmentally-friendly.